A lot don’t know much about Tallinn or Estonia in general, but most travelers have heard about this young city. Over the years, Tallinn has been a backpacker’s city, filled with hostels and various activities to cater to the young heart’s needs — cheap accommodation and cheap booze. However, there’s more to Estonia than its vodka drinking reputation; in fact, there’s a lot of things to do in Tallinn than one can imagine. 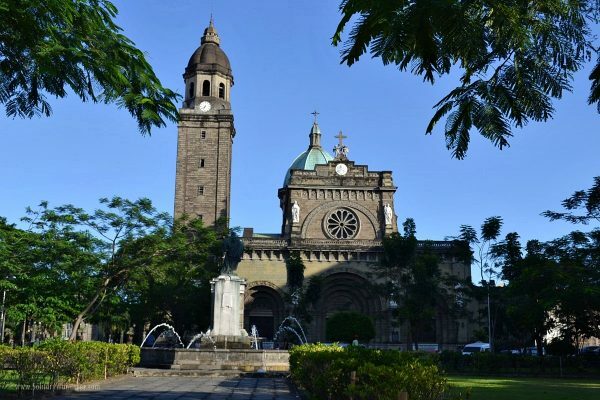 A booming city with lots of beautiful old buildings, interesting history, good local beers and delicious local cuisine on top of the cheap price tag that goes along with it, it is no surprise that this beautiful city receives a growing amount of visitors year after year. For starters, is Estonia a safe place to visit for solo travelers? Why, yes it is! 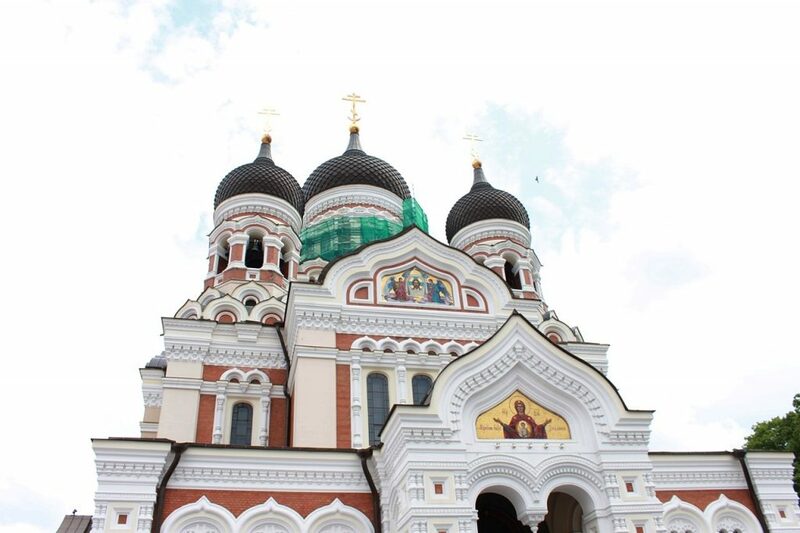 I’ve personally traveled to Tallinn numerous times and has explored quite a bit of its outskirts and neighboring cities, both with a companion and on my own. The hostel scene in Tallinn is excellent for those who travel solo not only because they are not costly but also because, like any hostels in the world, you get to meet awesome like-minded people traveling the world, just like yourself. What to see and do in Tallinn if you’re a solo traveler? This obviously depends on your personal interest, but I often suggest taking part of the free walking tour arranged by the city. It is a good way to start your visit and also to get to know Tallinn. Not only you’ll get good information from this tour, but also you’re helping the youths of Tallinn, who leads the walking tours, by giving them something to do that contributes to the city. 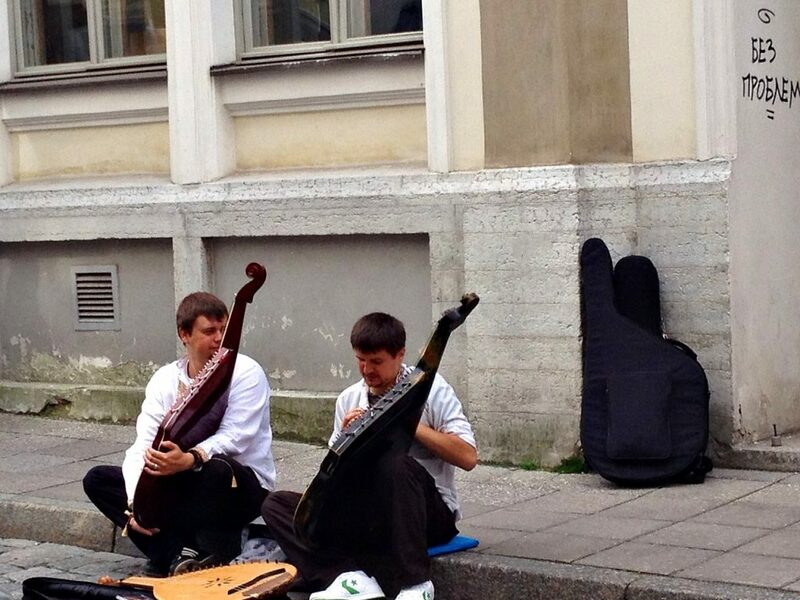 Street musicians in the Old Town. If you’re only a passer-by and will only spend a few days in Tallinn, which is a typical case by most travelers actually, then you’ll likely spend most of your days in the old town. It is a medieval fortress, a UNESCO world heritage site, and Tallinn’s crown jewel as most tourist flocks in here. Don’t get disheartened though, despite its popularity among tourists; it is still a charming place to roam around and get lost (it is small, you’ll find your way out). Have a taste of these in III Draakon. 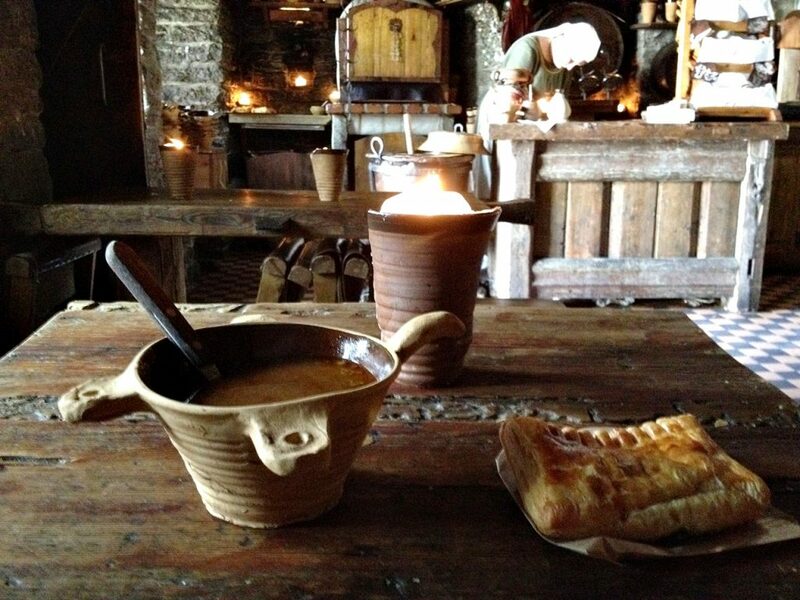 Of course, you must not miss the local cuisine and if you happen to find a friend from the hostel, go for one of the medieval-themed restaurants and experience how the people from the past eat in a candle-lit tavern with servers dressed like the maidens and gentlemen of the old age. Apart from these, there’s also a restaurant called III Draakon, a small restaurant that serves elk soup and warm pies! For under 5€ you get to have soup, pie, and a pickle (if you manage to fish it out from the bucket!). It is not hard to find this place as it is situated absolutely in the middle of the market square in the old town of Tallinn. Be aware of the ladies though; they’ll make you sing for your spoon if you ask one! 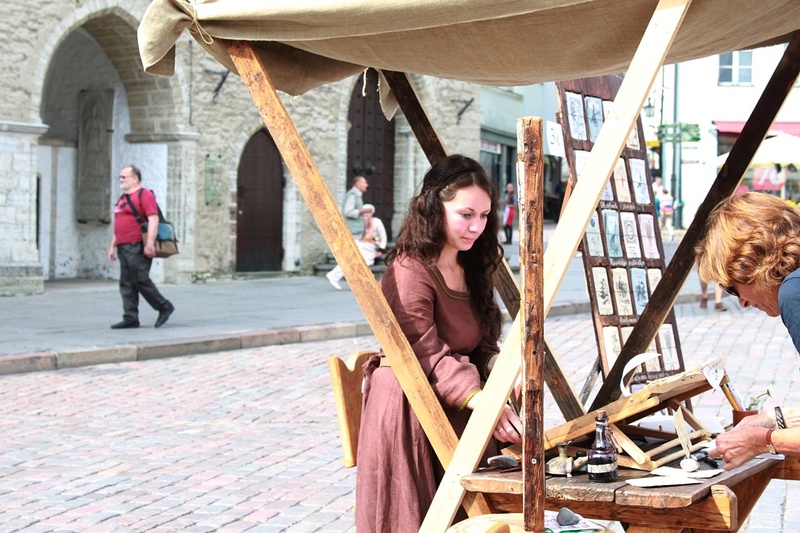 What other fun things you can do while in the city of Tallinn? 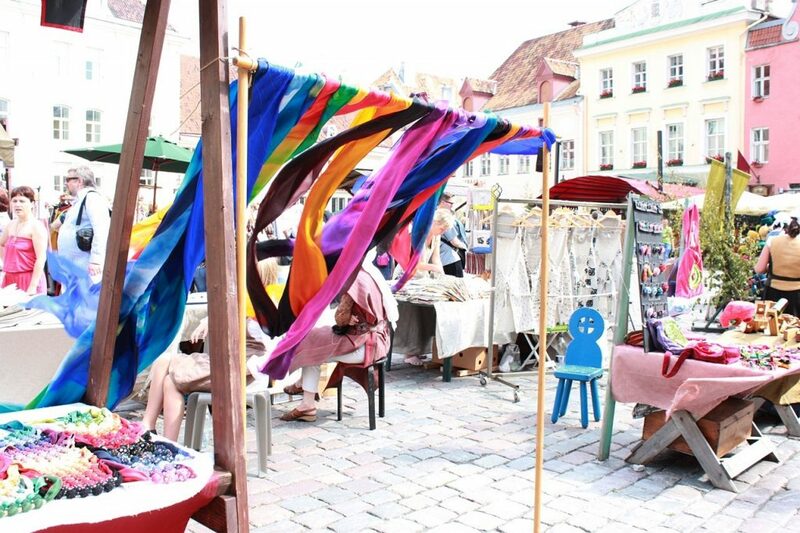 Check out the street markets in Tallinn! If you’re interested, go for a pub crawl! There are tons of interesting bars in Tallinn which are often filled with locals to enjoy the local brew. 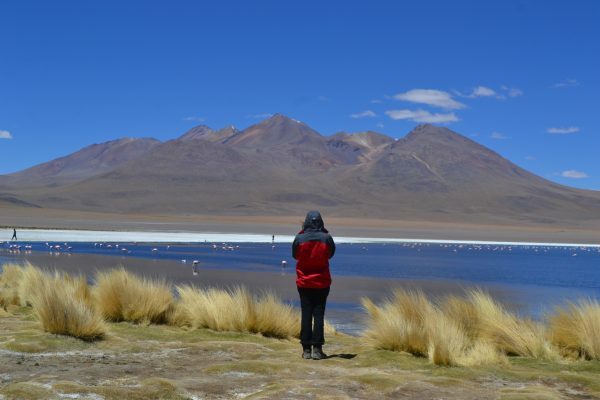 Not to mention, as a solo traveler, you get to hang out with people and have fun! You don’t always have to be alone, and if you choose to, you’ll never be alone in Tallinn if you join one of these pub crawls. When is the best time to visit Estonia? I’d say visit at the very start of summer (April-May) or end of it (August-September) because June and July are the high-season and the whole place will be packed as most large luxury cruise ships from Scandinavia and Finland brings in tons of tourists. 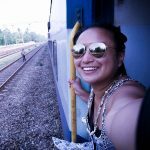 Any safety tips for solo travelers to Tallinn? 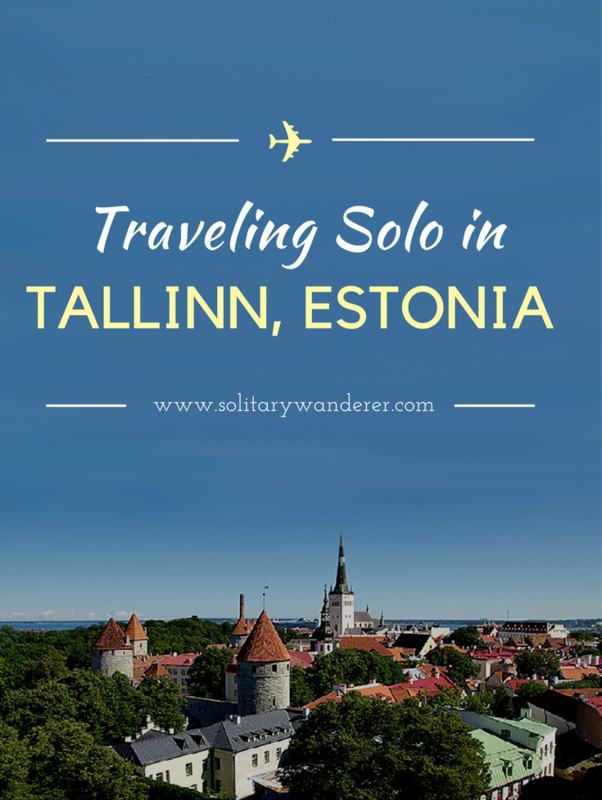 Tallinn is safe for solo travelers. Tallinn is a safe city with low crime rate. However, like in any places around the world, it doesn’t hurt to practice awareness to avoid any possible circumstances that could negatively affect you. For instance, if you’re a female solo traveler and somehow feel uncomfortable in a certain situation, you must speak up and inform someone at the hostel or hotel you’re staying at. 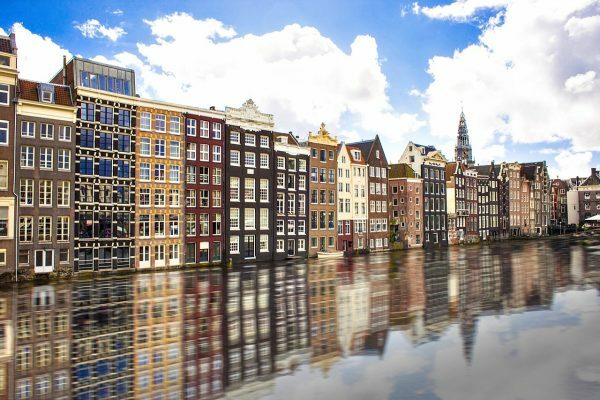 It is also best to book a hotel or hostel in old town where all the things are happening, so it is easy and safer for you to get back to your accommodation even after one too many beers. Speaking of beers and booze, take it easy. If you’re drinking with locals, don’t keep up with them. Trust me, been there done that. Not only it gets confusing to get back to the hostel, but the hangover is also a nightmare, and if you’re only staying in Tallinn for few days, it is not worth it. It’s also good practice to never leave your glass or open bottle unattended. 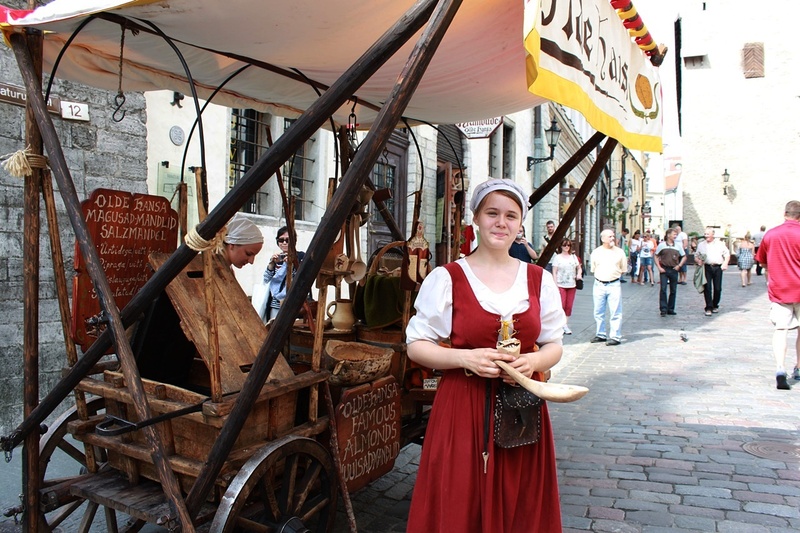 Tallinn is pretty safe, but it’s still wise to practice precaution as a solo traveler! Just enjoy the chill vibes of Tallinn and don’t forget to have fun. It is a relaxed city for all sorts of travelers! Evan Kristine is the creative person behind Pretty Wild World, a visual travel blog that talks about beautiful destinations, travel experiences, and awesome eats worldwide. She’s on a mission to unravel and share the beauty of our pretty wild world and inspire people to seek out their ultimate inner wanderlust. Follow her on Instagram, Twitter, Facebook, and Pinterest. I’ve tried duck egg tea and porcupine so having heard about elk soup makes me want to visit Tallinn just for that! I’ m going to Tallin this week. Look for high expectations.